The Order of the Companions of Honour is an order of the Commonwealth realms. It was founded on 4 June 1917 by King George V as a reward for outstanding achievements and is "conferred upon a limited number of persons for whom this special distinction seems to be the most appropriate form of recognition, constituting an honour disassociated either from the acceptance of title or the classification of merit." Pahiatua is a rural service town in the south-eastern North Island of New Zealand with an urban and rural population of over 4,000. It is between Masterton and Woodville on State Highway 2 and the Wairarapa Line railway, 60 kilometres (37 mi) north of Masterton and 30 kilometres (19 mi) east of Palmerston North. It is usually regarded as being in the Northern Wairarapa. However for local government purposes it is in the Tararua District part of the Manawatu-Wanganui Region; which encompasses Eketahuna, Pahiatua, Woodvillle and Dannevirke. Wairarapa, is a geographical region of New Zealand. It occupies the south-eastern corner of the North Island, east of metropolitan Wellington and south-west of the Hawke's Bay region. It is lightly populated, having several rural service towns, with Masterton being the largest. It is named after its largest lake, Lake Wairarapa. The Reform Party, formally the New Zealand Political Reform League, was New Zealand's second major political party, having been founded as a conservative response to the original Liberal Party. It was in government between 1912 and 1928, and later formed a coalition with the United Party, and then merged with United to form the modern National Party. The Crimes Act 1961 is an Act of the Parliament of New Zealand that forms a leading part of the criminal law in New Zealand. It repeals the Crimes Act 1908, itself a successor of the Criminal Code Act 1893, and partially codifies the criminal law in New Zealand. Most crimes in New Zealand are created by the Crimes Act, but some are created elsewhere. All common law offences are abolished by section 9, as are all offences against Acts of the British Parliaments, but section 20 saves the old common law defences where they are not specifically altered. Capital punishment in New Zealand first appeared in a codified form when New Zealand became a British colony in 1840, and it was first employed in 1842. Capital punishment was last used in 1957, abolished for murder in 1961, and abolished for all crimes, including treason, in 1989. During the period that it was in effect, 85 people were executed. Sir Robert David Muldoon, also known as Rob Muldoon, was a New Zealand politician who served as the 31st Prime Minister of New Zealand, from 1975 to 1984, while Leader of the National Party. 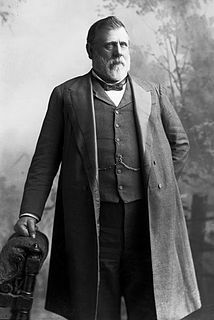 Richard John Seddon was a New Zealand politician who served as the 15th Premier of New Zealand from 1893 until his death in office in 1906. William Ferguson Massey, commonly known as Bill Massey, was an Irish-born politician in New Zealand who served as the 19th Prime Minister of New Zealand from May 1912 to May 1925. He was the founding leader of the Reform Party, New Zealand's second organised political party, from 1909 until his death. Kiwi is the nickname used internationally for people from New Zealand, as well as being a relatively common self-reference. Unlike many demographic labels, its usage is not considered offensive; rather, it is generally viewed as a symbol of pride and endearment for the people of New Zealand. The name derives from the kiwi, a native flightless bird, which is a national symbol of New Zealand. Until the First World War, the kiwi represented the country and not the people; however, by 1917, New Zealanders were also being called "Kiwis", supplanting other nicknames. Riwaka is a small town in the north of New Zealand's South Island. It lies beside Tasman Bay, five kilometres north of Motueka, and close to the mouth of the Riuwaka River. As of 2006 it had a population of 549 people. The town of Motueka in the South Island of New Zealand lies close to the mouth of the Motueka River, on the western shore of Tasman Bay. It is, after Richmond, the second largest centre in the Tasman Region, with a population of 7125. The Motueka Ward had an estimated population of 10,900 at 30 June 2009. Nelson is a city on the eastern shores of Tasman Bay. Nelson is the oldest city in the South Island and the second-oldest settled city in New Zealand – it was established in 1841 and was proclaimed a city by royal charter in 1858. ↑ Sir George Grey served as both Governor of New Zealand and Premier of New Zealand in the 19th century, but Holyoake is the only person to have served in both capacities since the viceregal post was renamed Governor-General upon New Zealand becoming a dominion in 1907. The New Zealand National Party, shortened to National or the Nats, is a centre-right political party in New Zealand. It is one of two major parties that dominate contemporary New Zealand politics, alongside its traditional rival, the New Zealand Labour Party. Sir Sidney George Holland was a New Zealand politician who served as the 25th Prime Minister of New Zealand from 13 December 1949 to 20 September 1957. He was instrumental in the creation and consolidation of the New Zealand National Party, which was to dominate New Zealand politics for much of the second half of the 20th century. Sir John Ross Marshall, generally known as Jack Marshall, was a New Zealand politician of the National Party. He entered Parliament in 1946 and was first promoted to Cabinet in 1951. After spending twelve years as Deputy Prime Minister, he served as the 28th Prime Minister for most of 1972. The 1975 New Zealand general election was held on 29 November to elect MPs to the 38th session of the New Zealand Parliament. It was the first general election in New Zealand where 18- to 20-year-olds and all permanent residents of New Zealand were eligible to vote, although only citizens were able to be elected. John Howard Falloon was a New Zealand politician. He was an MP from 1977 to 1996, representing the National Party in the Pahiatua electorate. The 1957 New Zealand general election was a nationwide vote to determine the shape of the New Zealand Parliament's 32nd term. It saw the governing National Party narrowly defeated by the Labour Party. The 1957 elections marked the beginning of the second Labour government, although this administration was to last only a single term. The 1963 New Zealand general election was a nationwide vote to determine the shape of New Zealand Parliament's 34th term. The results were almost identical to those of the previous election, and the governing National Party remained in office. The 1966 New Zealand general election was a nationwide vote to determine the shape of the New Zealand Parliament's 35th term. It saw the governing National Party win a third consecutive term in office. It was also the first time since the 1943 election that a minor party won a seat in Parliament. Joseph Gordon Coates served as the 21st Prime Minister of New Zealand from 1925 to 1928. He was the third successive Reform prime minister since 1912. Sir Leslie Knox Munro was a New Zealand lawyer, journalist, and politician of international standing. 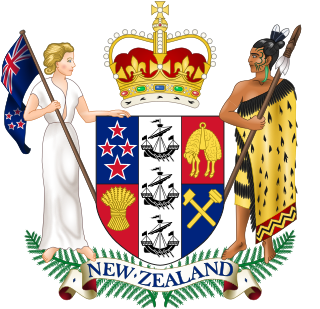 The Second National Government of New Zealand was the government of New Zealand from 1960 to 1972. It was a conservative government which sought mainly to preserve the economic prosperity and general stability of the early 1960s. 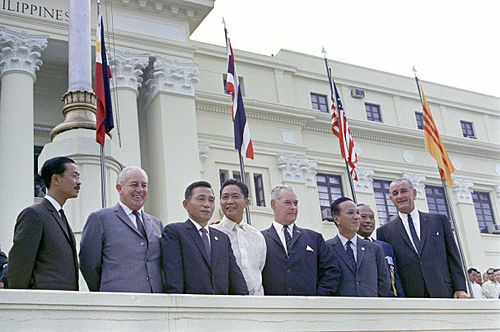 It was one of New Zealand's longest-serving governments. Brigadier Duncan MacIntyre was a New Zealand politician of the National Party. He served as Deputy Prime Minister from 1981 to 1984 under Prime Minister Robert Muldoon. The Pahiatua by-election of 1977 was a by-election for the electorate of Pahiatua on 30 April 1977 during the 38th New Zealand Parliament. The by-election resulted from the resignation of the previous member Sir Keith Holyoake when he was appointed Governor-General. The New Zealand National Party leadership election 1957 was held to choose the next leader of the New Zealand National Party. The election was won by Pahiatua MP Keith Holyoake. The New Zealand National Party leadership election was held to determine the leadership of the New Zealand National Party. The election was won by Karori MP Jack Marshall. The New Zealand National Party leadership election was held to determine the future leadership of the New Zealand National Party. The election was won by Tamaki MP Robert Muldoon. The New Zealand National Party leadership election, 1984 was held to determine the future leadership of the New Zealand National Party. The election was won by former Deputy Prime Minister Jim McLay. The New Zealand National Party leadership election was an election for the National leadership position in 1986. ↑ "Keith Holyoake". nzhistory.govt.nz. Ministry for Culture and Heritage. Retrieved 5 September 2017. 1 2 3 4 5 6 7 8 9 10 Richard Wolfe (2005). Battlers, Bluffers and Bully-boys. Random House New Zealand. 1 2 3 4 5 6 7 8 9 10 11 12 13 14 15 Wood, G. A. "Holyoake, Keith Jacka". Dictionary of New Zealand Biography . Ministry for Culture and Heritage . Retrieved 30 October 2012. 1 2 Gustafson 2007, pp. 2. ↑ Geering, Lloyd. "In praise of the secular, part 3 of 4: The value of being secular" (PDF). Retrieved 21 April 2015. ↑ "Official jubilee medals". Evening Post. CXIX (105). 6 May 1935. p. 4. Retrieved 13 August 2013. ↑ Gustafson 1986, p. 32. ↑ Gustafson 1986, pp. 32f. ↑ Riches, Christopher; Kavanagh, Dennis (2013). A Dictionary of Political Biography. Oxford University Press. p. 406. ISBN 9780192518439. ↑ Parliamentary Debates; Volume 349. House of Representatives: New Zealand Parliament. 1966. p. 29. Retrieved 4 September 2017. 1 2 3 Gustafson 2007. ↑ "New Zealand Security Intelligence Service Act 1969 No 24 (as at 13 July 2011), Public Act – New Zealand Legislation". legislation.govt.nz. 2011. Retrieved 16 September 2011. The New Zealand Security Intelligence Service to which this Act applies is hereby declared to be the same Service as the Service known as the New Zealand Security Service which was established on 28 November 1956. ↑ "The Hunn Report | NZETC". nzetc.victoria.ac.nz. Retrieved 4 September 2017. 1 2 "'Politics and sport don't mix'". Ministry for Culture and Heritage. Retrieved 4 September 2017. ↑ Richards, Trevor Lawson (1999). Dancing on Our Bones: New Zealand, South Africa, Rugby and Racism. Bridget Williams Books. p. 34. ISBN 9781877242007 . Retrieved 4 September 2017. ↑ Parliamentary Debates, Volume 329. New Zealand Parliament. p. 3683. Retrieved 4 September 2017. ↑ Gustafson 2007, p. 152. ↑ Gustafson 2007, p. 97. ↑ Larsen, Lieutenant General Stanley Robert (2014). 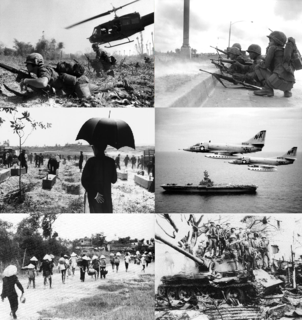 Vietnam Studies – Allied Participation in Vietnam [Illustrated Edition]. Pickle Partners Publishing. ISBN 9781782893714 . Retrieved 4 September 2017. ↑ "Nuclear testing in the Pacific". Ministry for Culture and Heritage. 3 July 2017. Retrieved 4 September 2017. ↑ "No. 45119". The London Gazette (Supplement). 5 June 1970. p. 6405. 1 2 3 4 McLean, Gavin (November 2006). The Governors: New Zealand's Governors and Governors-General. Dunedin: Otago University Press. ISBN 1-877372-25-0. ↑ Ross Doughty (1977). The Holyoake years. Feilding. ↑ "The state funeral of the Right Honourable Sir Keith Holyoake, Tuesday, 13 December 1983, 11 a.m., Wellington Cathedral". 1983. Retrieved 23 February 2018. ↑ Wood, G. A. (2000). "Holyoake, Keith Jacka". Dictionary of New Zealand Biography. Retrieved 23 February 2018. ↑ Gustafson, Barry (1986). The First 50 Years: A History of the New Zealand National Party. Reed Methuen. p. 304. ISBN 9780474001772. Wikimedia Commons has media related to Keith Holyoake .